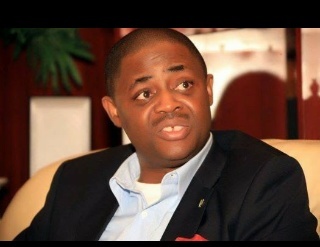 The spokesperson of the PDP Presidential Campaign Organization, Fem Fani-Kayode has alleged that APC Presidential candidate, Gen Buhari, Borno state Governor Kashim Shettima and APC National Publicity secretary Lai Mohammed, know where the missing Chibok girls are. Fani-Kayode said this in a statement he released today responding to a statement by the APC doubting President Jonathan’s comments in his interview on AIT that the Chibok girls are still alive. According to Femi Fani-Kayode, if the girls are not found, Gen Buhari and the APC should be held responsible..
“Whilst the majority of Nigerians are overjoyed by the fact that the President has given us hope by saying that the girls are still alive. Lai Mohammed and the APC are not happy. The truth is that they do not want those girls to be found and neither do they care about their welfare or their safety. We say this because this was a man, and a party that complained and protested at the fact that Boko Haram was proscribed by the Federal Government last year. Lai Mohammed proclaimed that the proscription was unjust and unconstitutional. We have always believed that Buhari, Lai Mohammed, Governor Shettima and the APC know far more about the whereabouts of the Chibok girls and the activities of Boko Haram that they have cared to admit. Let it be clearly understood that if anything happens to those girls and if they are not produced at the soonest we will hold Lai Mohammed, Buhari and the APC responsible,” he said.